On January 31, 1995, Linda Root’s husband took her to St. Clare’s Emergency Room in Schenectady, N.Y. Linda had been ill all weekend, but didn’t think too much about it; she had not been running a fever. That Tuesday, she saw bugs crawling on the ceiling and was coughing up blood, which terrified her. Obviously, her brain was being deprived of oxygen. The only thing 52 year old Linda remembers after arriving was someone putting an oxygen mask on her. She felt claustrophobic and tried to take it off. She went to sleep and when she woke, it was early in April. Linda had a pneumococcal pneumonia, had developed sepsis and consequently, ARDS. Early in February, she had to have her gallbladder removed due to the damage from the sepsis. At that time, she also had a trach done. Linda was on the vent until the middle of April. It was touch and go the entire time. Her family basically had no idea of what had happened to her and her two children moved home to be with their Dad. There was no information anywhere explaining what had happened to Linda and what they could expect. It was just day after day of the same thing. Around the middle of March, the doctors had Linda’s husband contact their priest and their local undertaker. Linda was given the Last Rites. Linda’s husband, Joe, was told that it was pretty much hopeless and when the inevitable happened, he would have everything prepared. During the crisis, Linda developed seven blood clots and had five pneumothoraxes. She has scars on her chest from the chest tubes that were inserted and still has a troublesome unhealed bedsore on her right heel. Linda was in the critical care unit for three months and then was transferred to Sunnyview Rehab Hospital where she stayed for one month. She lost all strength and muscle control and was down to 90 lb. Although terrified, the staff who helped Linda through her rehab were relentless and gave her so much love and encouragement, she will never forget them. On June 1, Linda came home with supportive oxygen. She went to Outpatient rehab for the next six months. She returned to work in January 1996. Rehab was very hard. It was painful to get better but she was determined. Linda developed Post Traumatic Stress Syndrome and went to a psychologist for about five months. Through the support of her family, her priest, her friends and the wonderful medical community Linda was able to become one of the lucky ARDS survivors. Linda retired in November 2001. She and her husband split their time between Ft. Meyers, Florida and upstate New York. Linda has seventy percent of her lung capacity, which does not keep her down. 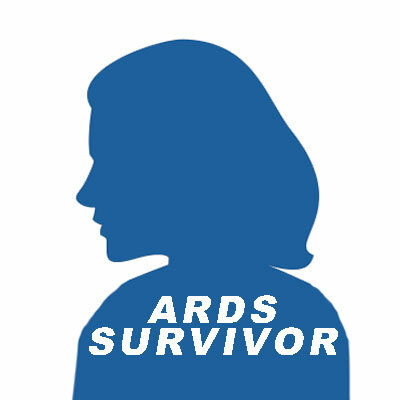 Linda has spent the last five years writing to ARDS survivors and families who have loved ones with patients in crisis. Linda does this because she is so thankful for all of the help that she received when she was sick. Linda is amazed at the progress being made in recent years and is hopeful that one day this devastating syndrome will be conquered.